John Ginty has literally covered a lot of ground. 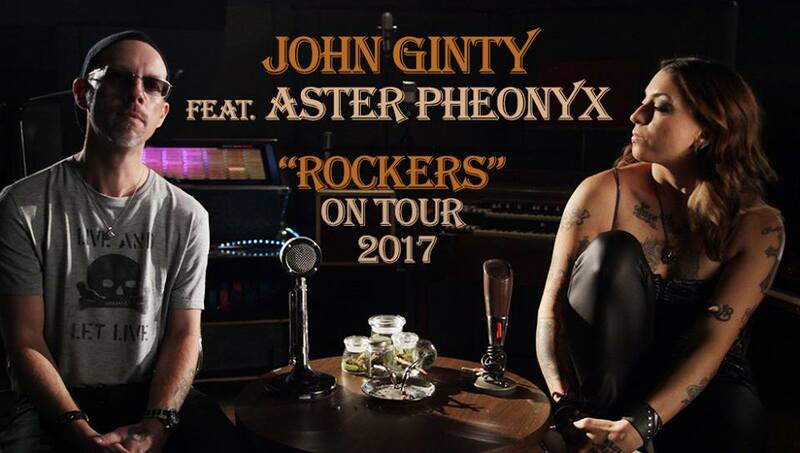 Fresh off playing Hammond B-3 for the Dixie Chicks on their MMXVI World Tour, Ginty is hitting the road with his own band. His US tour will be in support of his upcoming release from the American Showplace Music Label. “Rockers”, is scheduled for release on February 17, 2017 and will feature New Jersey singer/songwriter Aster Pheonyx. The “Rockers” Tour will begin on January 28, 2017 in Dunellen, NJ and head south through Florida. Ginty has spent years as a successful sideman, playing keys with legendary artists such as Citizen Cope, Santana, Jewel, Charlie Mars and many more. John was also a founding member of Robert Randolph & the Family Band, where he received two Grammy nominations. In the past few years, Ginty has solidified himself as a solo artist. His first offering on the American Showplace Music Label, Bad News Travels, features A-List artists such as Warren Haynes (Gov’t Mule), Albert Castiglia and Neal Casal. The sophomore album, No Filter was named RMR’s #1 Blues/Rock album of 2015 featuring a ground breaking performance by hip hop legend, Redman. Both studio albums, along with the Live CD/DVD receive regular air play on Sirius/XM’s “Bluesville” channel as well as 300 FM radio stations. For the upcoming album, Rockers, Ginty has gone to the well of New Jersey’s amazing artist community and found Jersey Shore singer/songwriter, Aster Pheonyx. A regular in the local scene, the powerhouse rock singer has won the Top Female Vocalist three years in a row from the Elephant Talk Indie Music Awards. After opening a show for Ginty and taking lead vocal on one of his songs, the two immediately hit it off. They co-wrote all of the songs for the forthcoming album, and on October 13 released the single “Lucky 13” with an accompanying video. The song is currently in rotation on WDHA, New Jersey’s biggest FM rock radio station. The combination of Pheonyx’s voice blended with Ginty’s ’69 Hammond B-3 organ is magic at its finest.